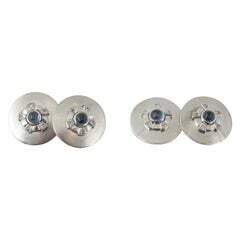 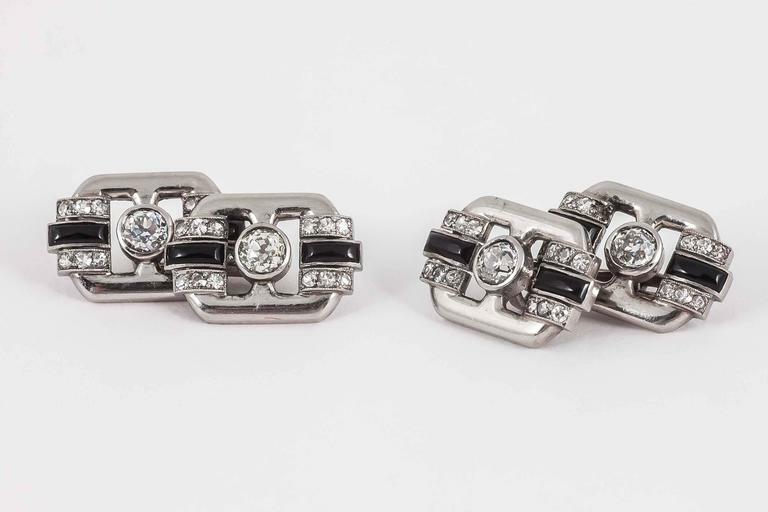 Yellow gold and platinum set sapphire and diamond cufflinks of cross design. 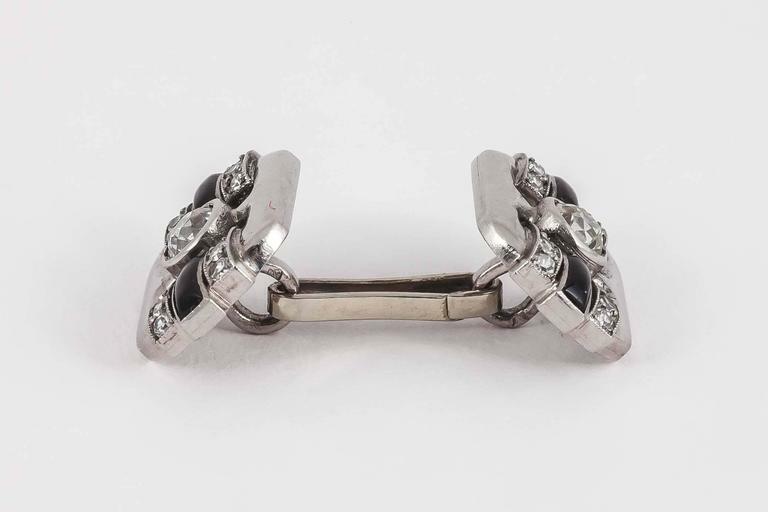 French, marked circa 1920. 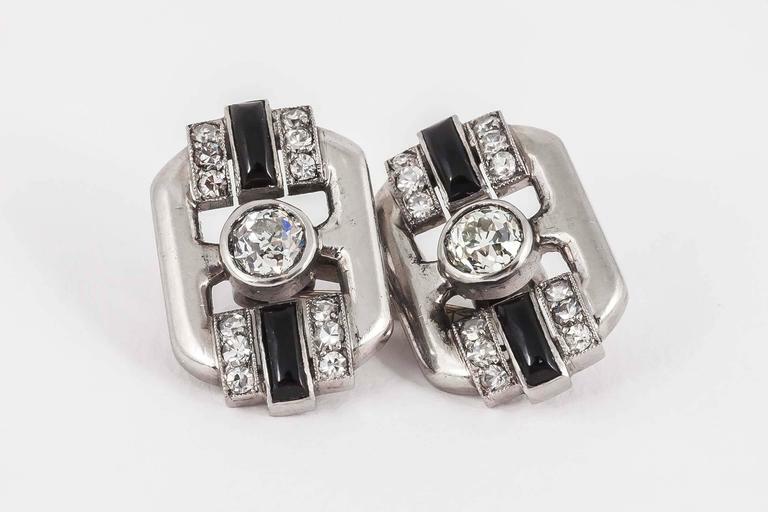 Heavy platinum cufflinks in original case, set with cabochon sapphire and diamonds, c1910 by W Bolin. 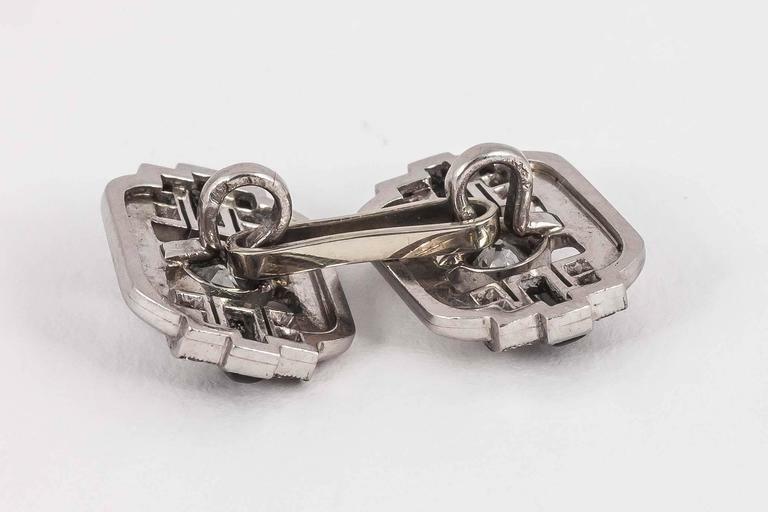 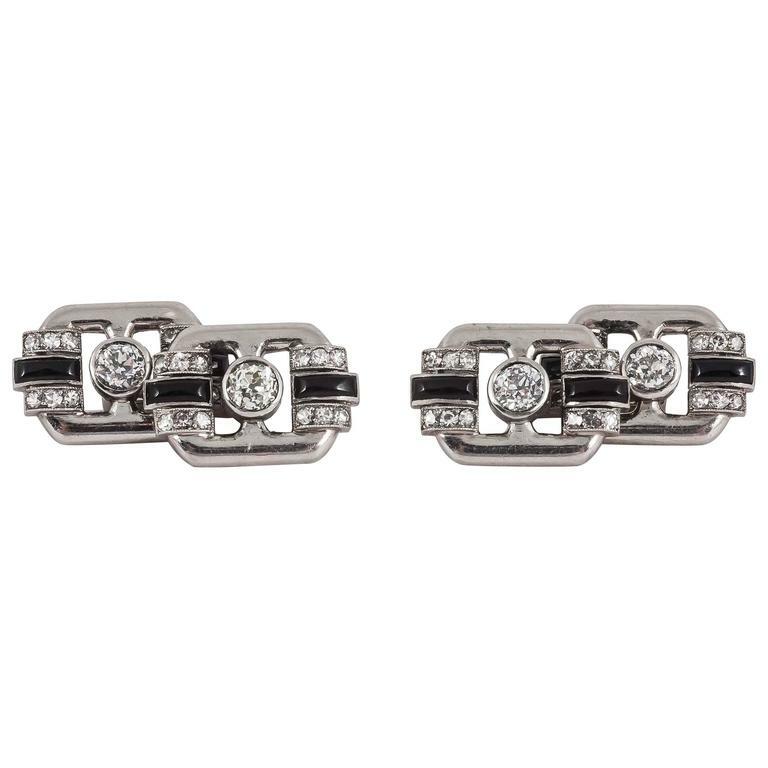 A beautiful pair of Cartier reversible cufflinks, Paris c. 1920. 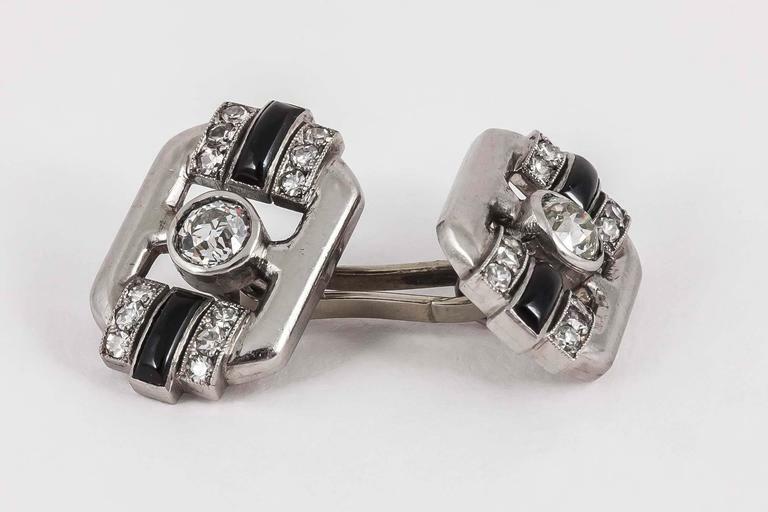 Diamonds and onyx in platinum, with a cabochon sapphire on the ends of each.